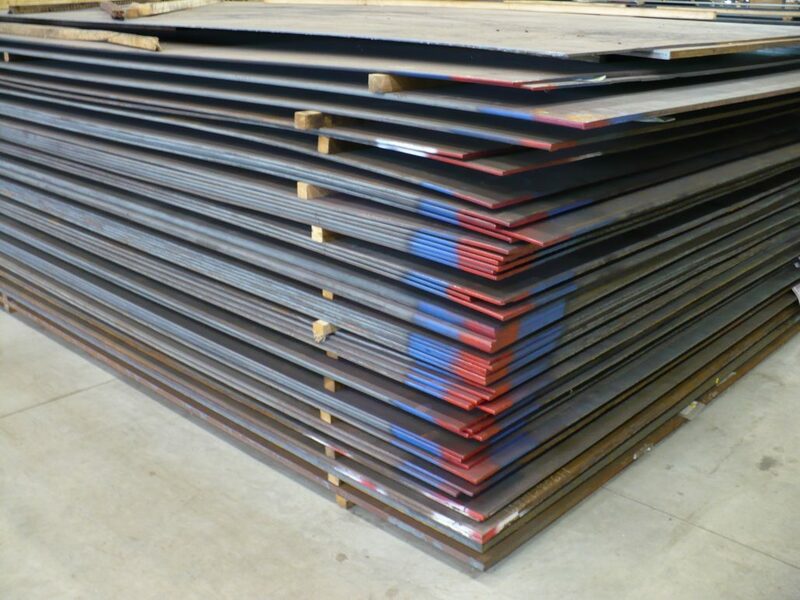 Rhino-Tuf EZ is an abrasion resistant, “thru-hardened”, AR400 wear plate. 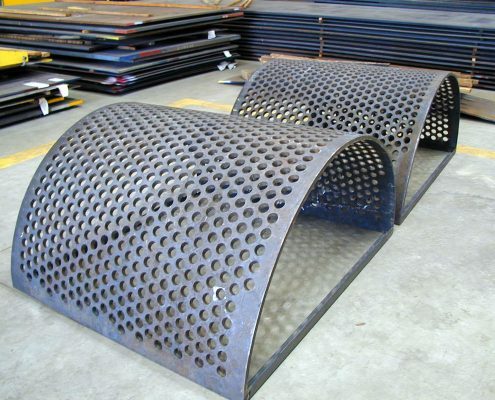 This alloy wear plate offers excellent service for applications where formability, toughness, weldability and abrasion resistance are required. Typical hardness range is 400/440BHN. Typical tensile strength is 180,000 PSI. Rhino-Tuf EZ is different from commercial grade wear plates. 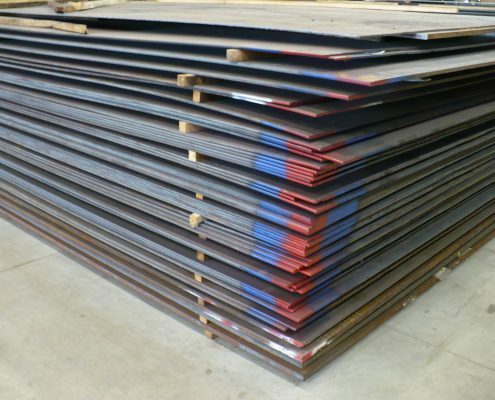 Made in controlled heat lots; the addition of alloying elements, such as Nickel, Chromium, Molybdenum, Titanium and Copper contribute to a chemistry rich enough to provide superior wear and uniformity of hardness but lean enough to have a low Carbon Equivalency (CE), for safety in fabrication. Do not settle for other plate products that only offer a surface hardness or that “shock” the plate to hardness with no depth of hardness. Rhino-Tuf EZ is engineered to replace most other commercial grade abrasion resistant plate products including, but not limited to: HSLA, T-1, A36, AR360, AR400 and A514. Rhino-Tuf EZ extends service life and offers real wear performance. Call or email us for a quote. Ease of Machining and Welding – Free of hard and spots which allow for predictability in machining. 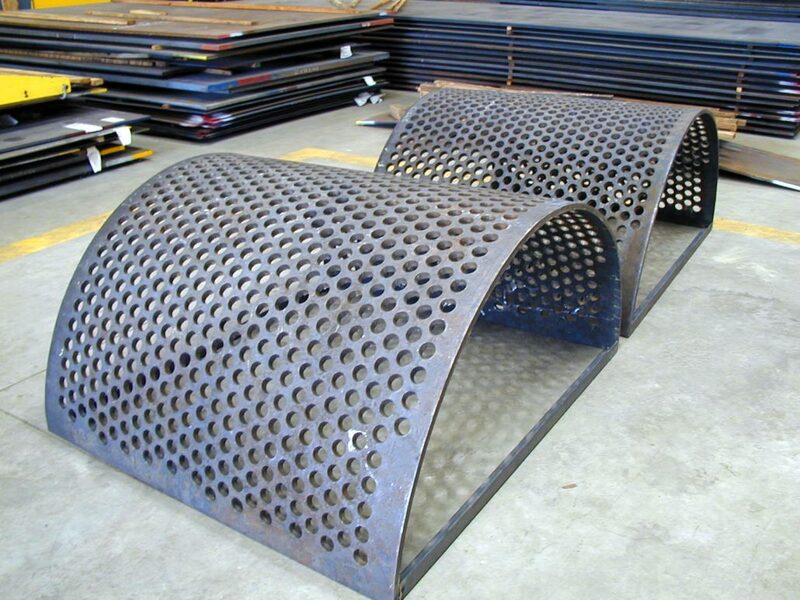 Utilize the “Standard Low Hydrogen Method” for welding this alloy plate product. *Boron, Vanadium, Aluminum and Columbium may be added at the discretion of the producing mill.